We almost always have Prime Rib of Beef Roast during the holidays, typically for Christmas Eve dinner. When prepared and cooked properly almost nothing beats it. Traditionally served with Yorkshire Pudding and au jus or gravy, it's a family favorite. Did you know? 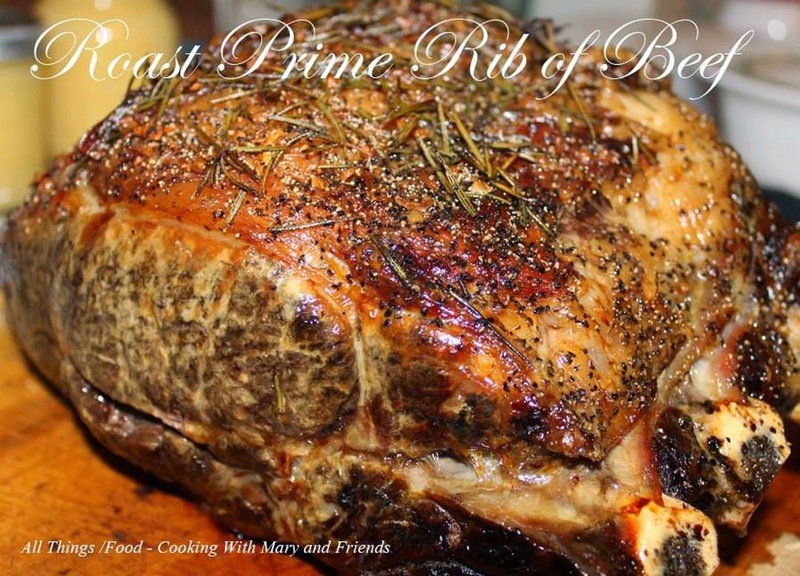 Prime Rib or Standing Rib Roast is a cut of beef from the primal rib, one of the nine primal cuts of beef. 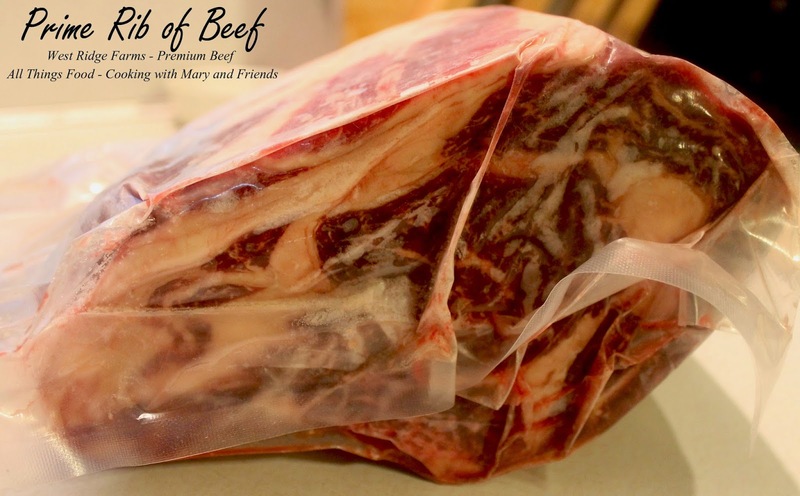 While the entire rib section comprises ribs six through 12, a standing rib roast may contain anywhere from two to seven ribs. It is most often roasted "standing" on the rib bones so that the meat does not touch the pan. An alternative cut removes the top end of the ribs for easier carving. 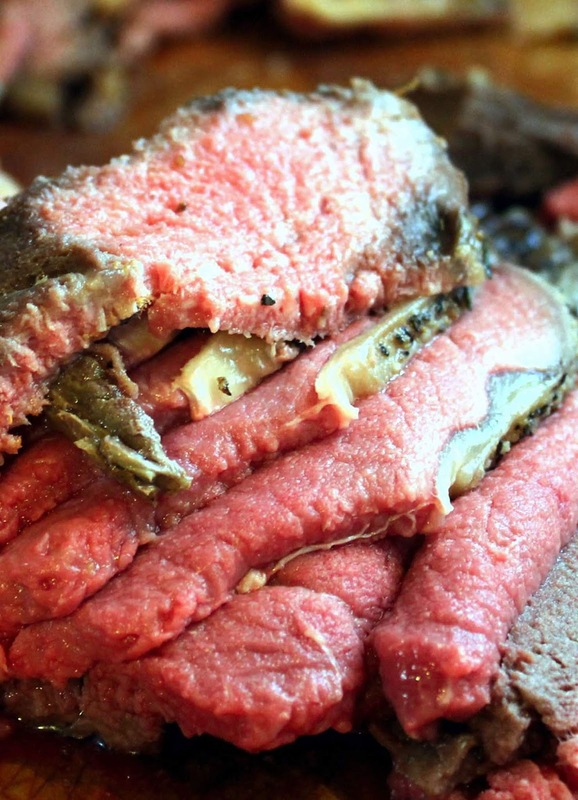 Most people think that the word "Prime" in Prime Rib means it is USDA Prime Grade. But unless the official USDA designation is attached to the rib roast, it is not USDA Prime certified. The word "Prime" by itself only describes the most desirable part of the "rib section" of the beef regardless of the USDA (US Department of Agriculture) Grade. The top grades of beef are USDA Prime, USDA Choice and USDA Select with Prime being the most superior. A Prime Rib Roast is also often referred to as "Standing Rib Roast." It is cut from the rib section which is one if the eight primal cuts of beef and is comprised of ribs 6 through 12 and a standing Prime Rib Roast can be 2 to 7 ribs. 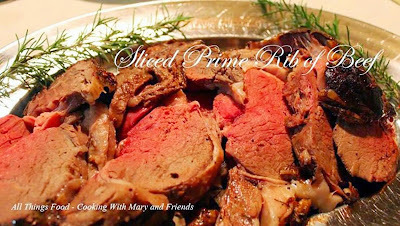 Once roasted to the desired temperature, it is sliced into portions which are called "Prime Rib." It is interesting to note that a slice of uncooked prime rib roast is really a "rib steak" which includes the "rib eye" portion. Remove roast from the refrigerator and let it come to room temperature about 1 hour prior to roasting. Lightly oil the roast all over with olive oil. Rub on minced garlic, sprinkle well with pepper and top roast with 2-3 sprigs fresh rosemary. Preheat oven to 450. Place roast rib side down, fat side up, so roast is "standing up" in roasting pan. Sear roast for 15 minutes. Reduce heat to 325 for the remainder of the cooking time. Time will vary dependent on size of roast, however the roasting time is approximately 13-15 minutes per pound. For optimal flavor and texture, cook prime rib to medium rare or an internal temperature of 130-135. Remember the internal temperature will rise as the roast rests. If you want it more well done, cook it a few minutes longer, or until the internal temperature is 140-145. When checking the temperature of your prime rib roast, insert meat thermometer so tip is in thickest part of beef, not resting in fat or touching bone. Remove roast from oven, cover lightly with foil and let rest 15-20 minutes before carving. 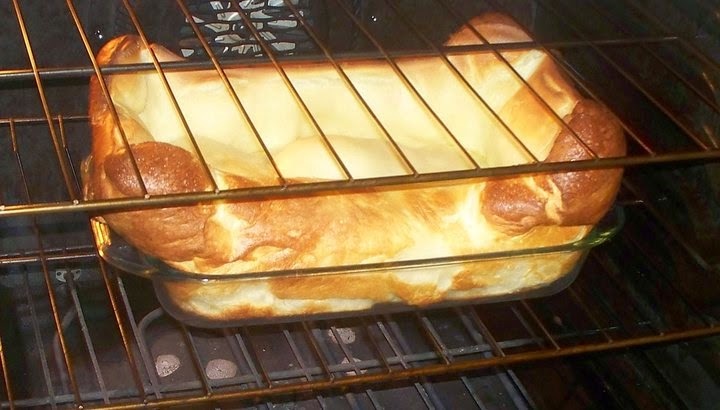 Longer if you're going to make some Yorkshire Pudding. Why Buy Food from Local Farms?